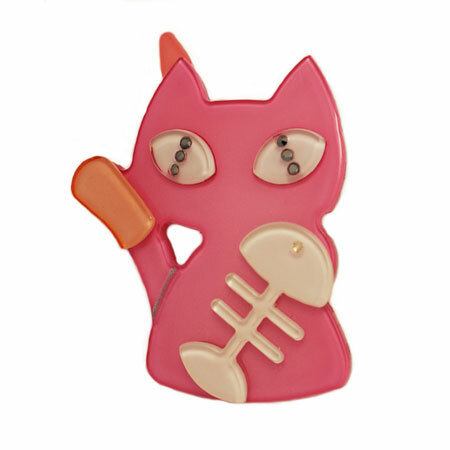 Mischievous Cat with Fishbone clip. Made of acrylic with Swarovski crystals. 1.5" tall x 1.25" wide.